UV-curing 1-component floor finish for finishing wooden and parquet floors. 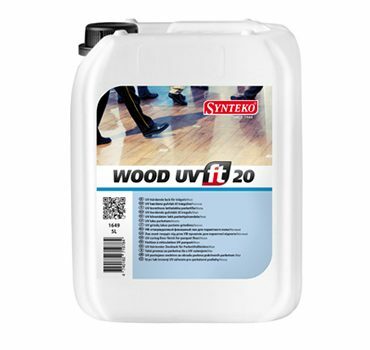 Synteko WOOD UV-FIT is a UV curing floor finish to be used on all wooden and parquet floors. UV curing makes the surface extremely resistant to wear and also less sensitive to water, alcohol and household chemicals, protects against scratches. The UV finish is fast drying and has good adhesion to substrates. Area cured with a UV curing machine can be used immediately after work is finished.